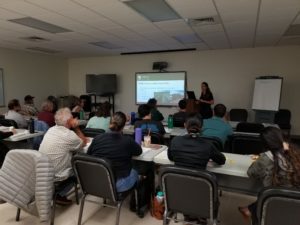 The Hawaii Department of Agriculture (HDOA) is working with the FDA to provide outreach and education to Hawaii fruit and vegetable growers who will be impacted by the FSMA Produce Safety Rule and has been awarded a cooperative agreement with the U.S. Food & Drug Administration (FDA) to build the program to promote understanding of the Produce Safety Rule. The Rule establishes, for the first time, science-based minimum standards for the safe growing, harvesting, packing, and holding of fruits and vegetables grown for human consumption. Some key requirements of the Rule are in: agricultural water; biological soil amendments; domesticated and wild animals; worker training and health & hygiene; equipment, tools and buildings; and record keeping. For a quick reference to the Produce Safety Rule, see FSMA PSR Key Requirements. 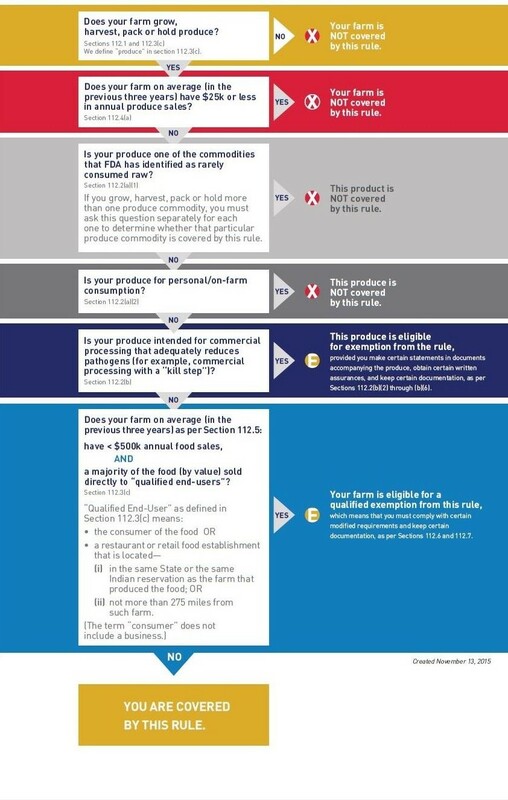 Learn where your farm falls under the Rule – check out the Coverage and Exemptions/Exclusions flowchart from the FDA. Farms may fall under one of three categories (covered, qualified exempt, or excluded), with different requirements for each category. Where your farm falls depends on what you sell, who you sell to, and how much you sell. Watch the Produce Safety Rule Exemptions Webinar from the Produce Safety Alliance. Take a Produce Safety Alliance (PSA) Grower Training class. Under the Produce Safety Rule, every produce farm must have an individual employed who has completed an FDA-approved Produce Safety Rule Grower Training course. This course provides training to ensure a responsible party employed by the farm understands the required food safety practices. It need only be taken once; however, the certificate of completion belongs to the individual and not the farm. HDOA’s Produce Safety Program has partnered with the University of Hawaii at Manoa Cooperative Extension Farm Food Safety Outreach program to deliver the training. To be notified when new training become available please contact Hawaii Produce Safety Program Manager, Luisa F. Castro at luisac@hawaii.edu or at (808) 974-4130. Covered or Exempt from the Law? How do I know if I am covered or exempt from the law? Below is a decision tree to help you determine if you are covered or exempt. Please contact us if you have any questions or need any clarification. 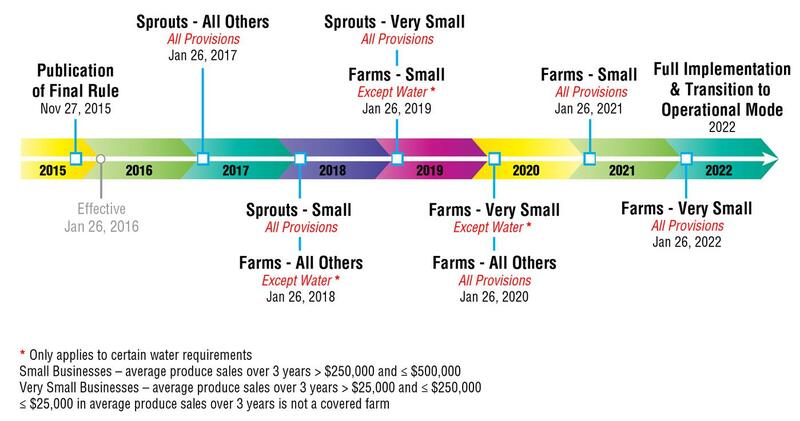 Below is a timeline of when farms will begin their inspection, based on size of the farm determined by the average amount of produce sales. If you are a producer or operator with questions or concerns about FSMA or produce safety, we want to hear from you! Contact Hawaii Department of Agriculture Produce Safety Program Manager, Luisa F. Castro at luisac@hawaii.edu or at (808) 974-4130.